As the end of the year approaches retail stores remind everyone of the need to purchase a new calendar for the coming year. The variety of calendars available is truly amazing. There are calendars for people who love cats, dogs and horses. Calendars for those who love to garden. Calendars for those who like art. Big calendars, small calendars and pocket calendars. The list is endless. Teaching special education students how to use the calendar, however, can be quite a challenge. Following are some suggestions on how to start. If possible have each student bring his own monthly calendar. Send parents a note explaining that you will be teaching the calendar. To help encourage learning, each student should help choose his favorite and bring it to school. 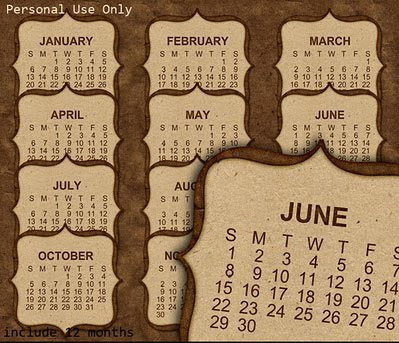 Students can enjoy sharing in class why they chose a particular calendar. This calendar can later be taken back home and used to keep track of days when not in school. At the beginning of each month hand out blank monthly calendar pages. Help students fill them in correctly. Use this opportunity to teach the relationships between how many days make 1 week, how many days make a month and how many weeks in a month. By making this a monthly activity you can review periodically the days of the week and the months in a year. Make sure to leave some time so they can have fun decorating their pages. Use holidays like Fourth of July, Thanksgiving and Christmas to help identify particular months. Have children help in decorating the classroom's monthly calendar with decorations related to each holiday. You can also mark each student's birthday and any other special school activities on the calendar. Have students answer questions while using the classroom's calendar. Ask how many days does a particular month have? What day of the week does the fifth of the month fall on? What day was yesterday? Which month comes after? Which month comes before? Choose a different student each week who will be in charge of crossing out yesterday's day on the calendar. Young children love to help their teachers and having a special "job" helps build their self-esteem. Make a special Thanksgiving countdown or Christmas break countdown calendar where you count how many days are left for Thanksgiving or Christmas break. Each day of the Thanksgiving countdown calendar could have a place where you write something that you are thankful for. Many scrapbooking sites offer great ideas for making this type of calendar. Understanding the calendar is easier when the abstract concept of days and months are made concrete by relating them to familiar events like holidays and the seasons. Learning the calendar is important because it helps students further understand the concept of time, which is difficult for many to comprehend.